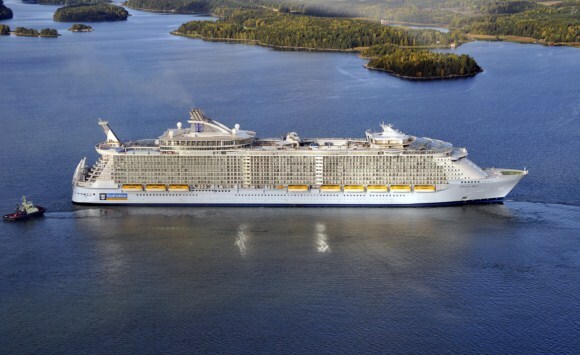 MS Oasis of the Seas is an Oasis-class cruise ship in the fleet of Royal Caribbean International. The first of her class, she was joined by her sister ship Allure of the Seas in December 2010. She set a new record of carrying over 6,000 passengers. The ship surpasses the Freedom-class cruise ships as the largest cruise ship in the world.